Will Self has established himself as one of the most brilliant, daring, and inventive writers of his generation. 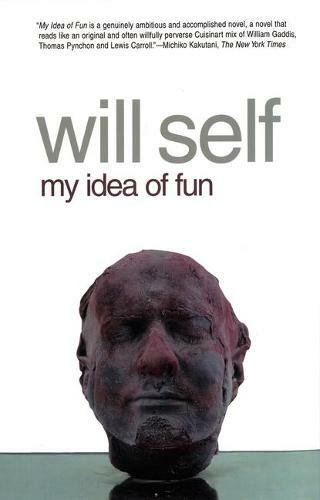 My Idea of Fun is Will Self's highly acclaimed first novel. The story of a devilishly clever international financier/marketing wizard and his young apprentice, My Idea of Fun is both a frighteningly dark subterranean exploration of capitalism run rampant and a wickedly sharp, technically acute display of linguistic pyrotechnics that glows with pure white-hot brilliance. Ian Wharton is a very ordinary young man until he is taken under the wing of a gentleman known variously as Mr. Broadhurst, Samuel Northcliff, and finally and simply the Fat Controller. Loudmouthed, impeccably tailored, and a fount of bombastic erudition, the Fat Controller initiates Ian into the dark secrets of his arts -- of marketing, money, and the human psyche -- and takes Ian, and the reader, on a wild voyage around the edges of reality. As we careen into the twenty-first century, Self perfectly captures the zeitgeist of our times: money is the only common language; consumerism, violence, and psychosis (drug-induced and otherwise) prevail; and the human soul has become the ultimate product.